If you love your wine just as much as me then you will also love the many things that come with it such as unique wine racks. If you collect wine then you will obviously want to display your most prized bottles in a beautiful display. 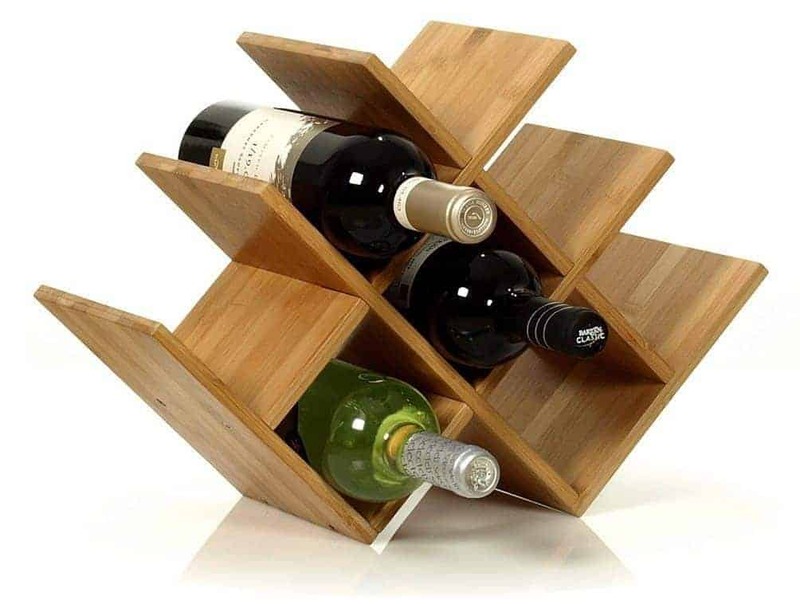 Sometimes as simple wooden criss-cross wine rack just simply isn’t good enough. 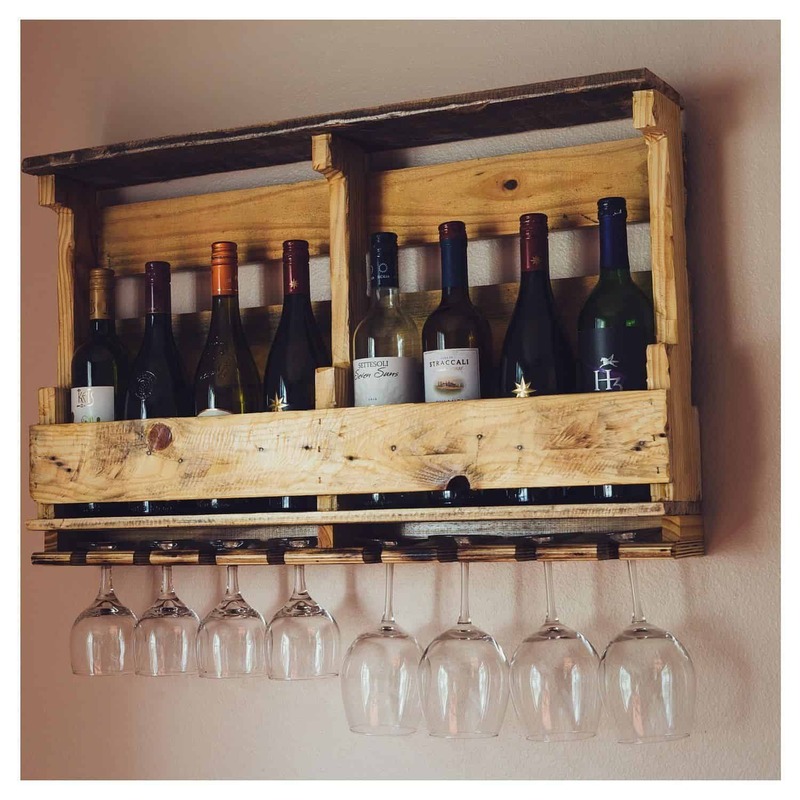 ​I love all things unique and so it makes sense for me to choose a standout unique wine rack that will not only look amazing in my home but it is what my wine collection deserves. The only problem is choosing which unique wine rack to buy. There are so many beautiful unique wine racks and I just want to buy them all! 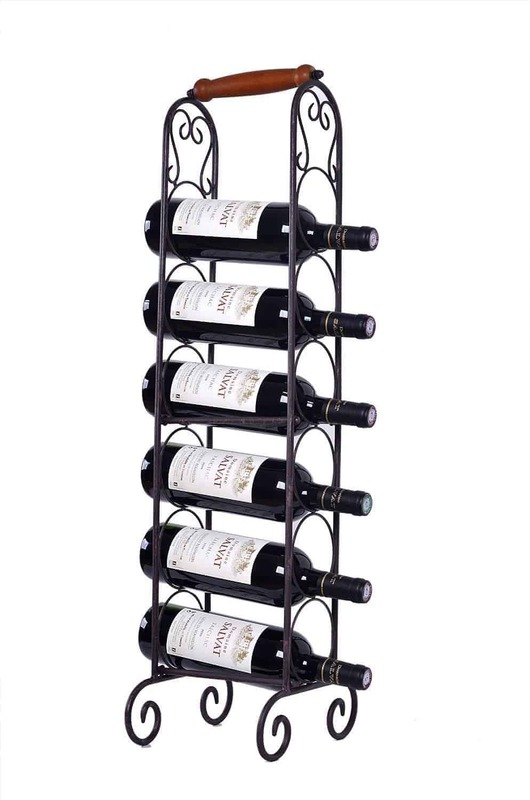 This is certainly a very fancy and elegant looking wine rack and is one of my favorites because it just looks like something wine would resemble in my eyes. 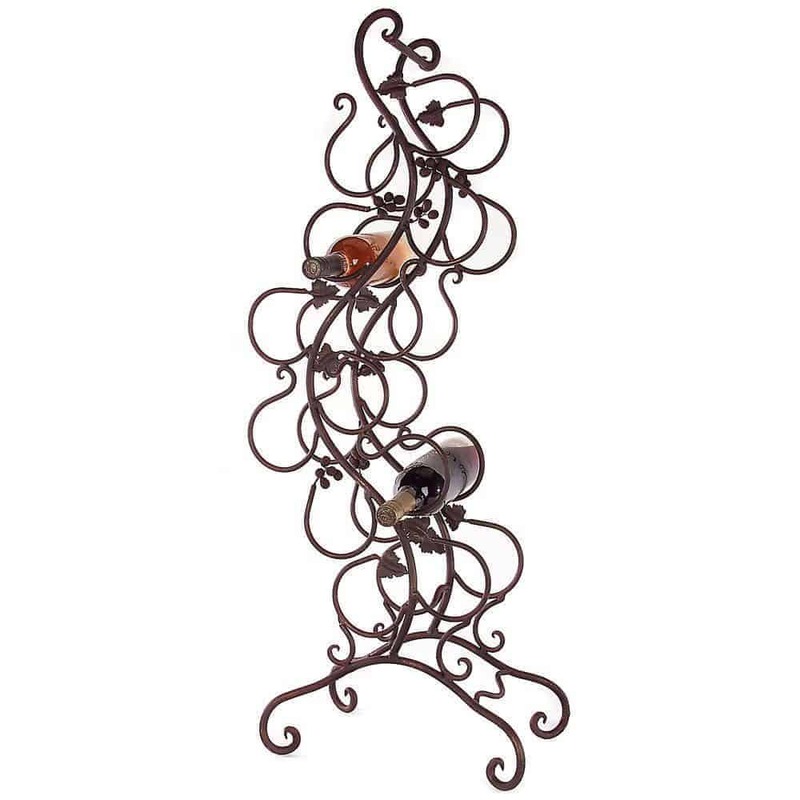 With the swirls and grapevines, it really is a very detailed and beautiful unique wine rack. I just love this unique wine rack for its simplicity but very powerful creativity. I think this would look great if you have a small bar are in your home or even in the dining room. 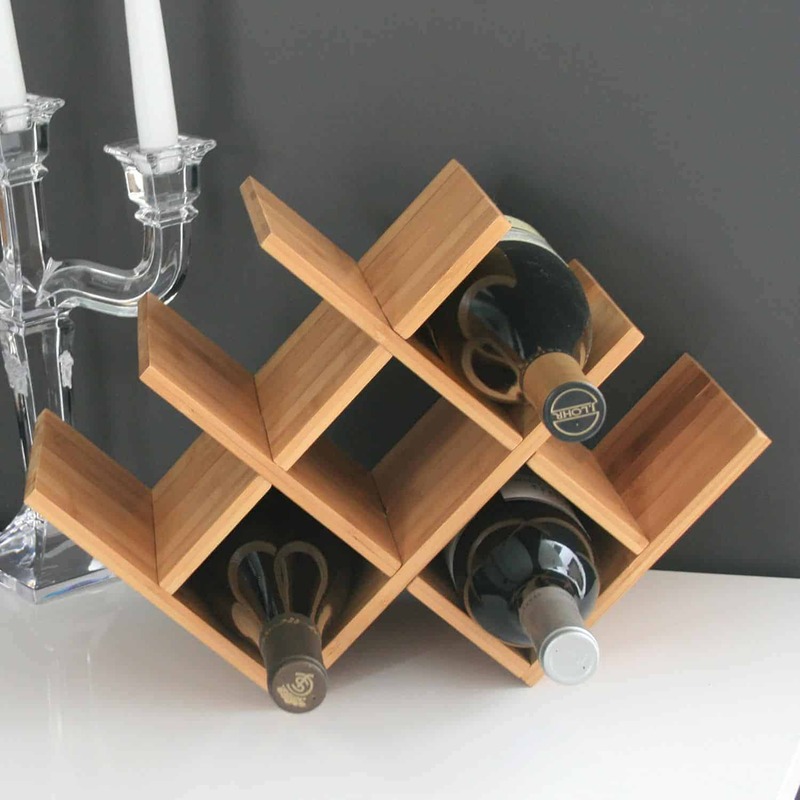 The fact that it can also hold two wine glasses just adds the perfect finishing touch to this wine rack. The good news is that it is only $39.99! It will fit in well with almost any home décor and is a great way to add a touch of uniqueness to your wine storage. Because of how unique it is, it will be also be a talking point when friends and family come round...they will be sure to want it. It is a very authentic looking wine rack but very elegant at the same time.You will be sure to get good value for money as the quality and durability of this wine rack is top notch. 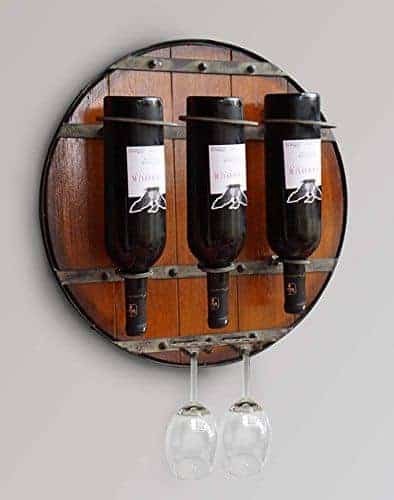 This is a more simple looking wine rack than the first two on the list but it is still very unique. 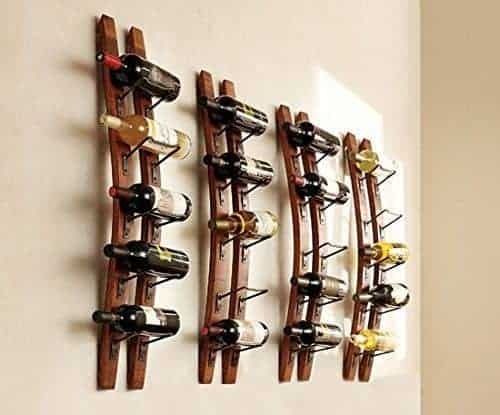 It is perfect for those who don’t want to add too much drama to their décor but still would like something a bit fancier than their traditional wine racks. 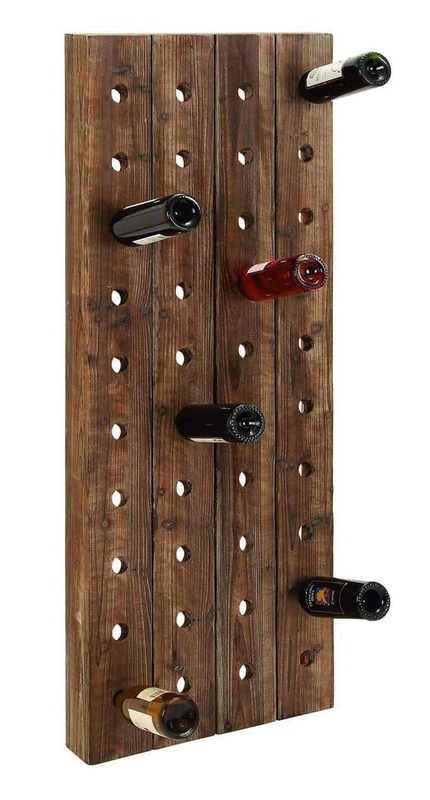 This wall mounted pallet wine rack is definitely different and I absolutely love it. It is quite similar to the round hanging wall rack but this one holds more bottles and glasses. I think what might be better about this wine rack is that the bottle are up standing too but that’s personal preference I suppose. 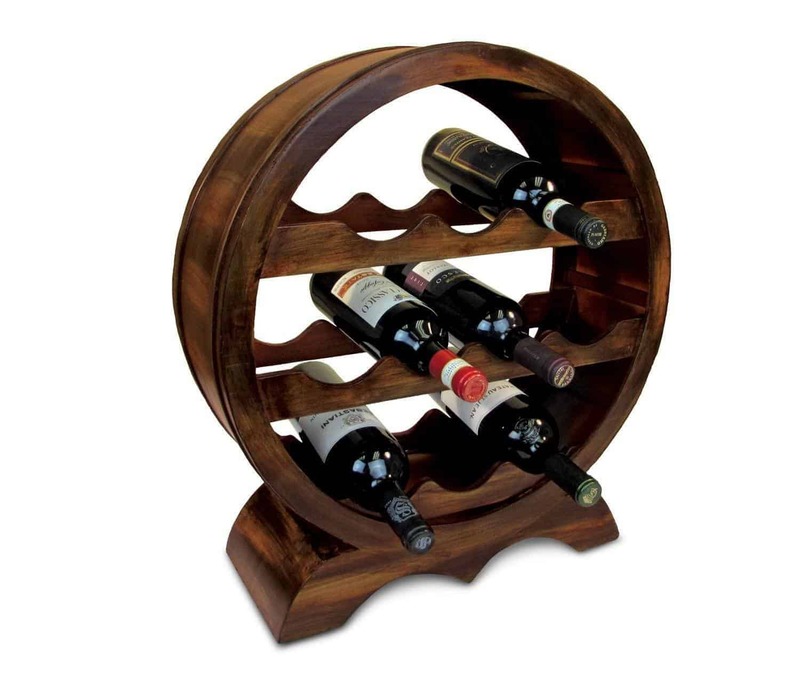 To really create a spectacular wine display, get the Deco 79 wood wine rack. 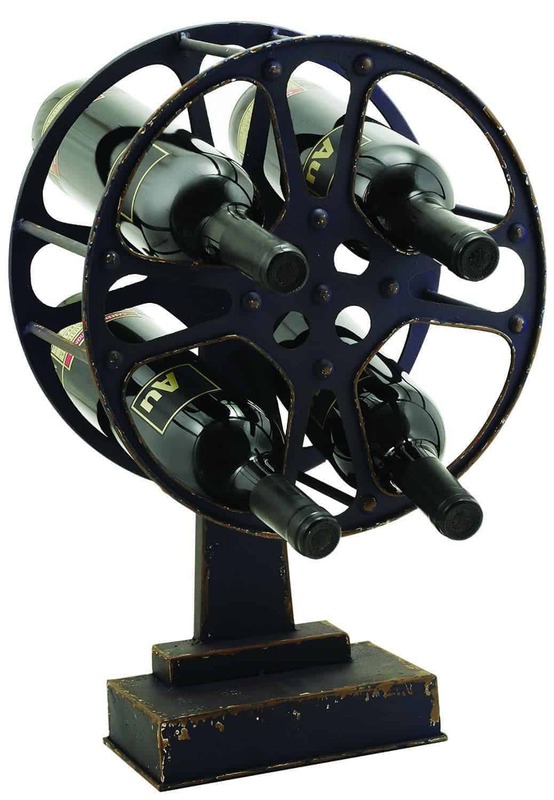 This amazing unique wine rack can be placed outside as well as inside and will not only hold your wine bottles but will act as an interesting art piece to your home. This is simpler than the other wine racks but looks great on counter tops. 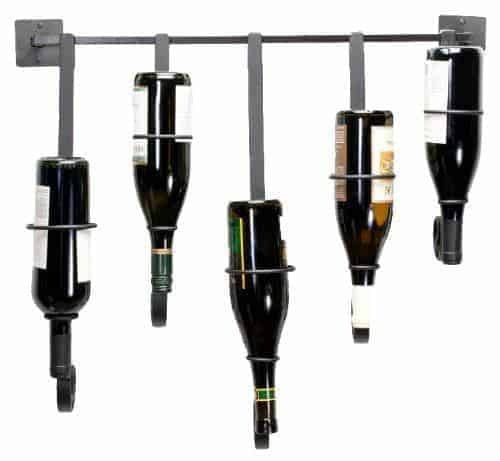 Even though it is one of the smaller wine racks on the list, it can actually hold up to 8 wine bottles. It is certainly a compact wine rack with a lot of punch. If there is one word I can say about this wire rack, it is...WOW! What a beautiful and very unique design it is. I love décor that has rustic vibes which is why I think this wine rack appeals to me so much. ​It would look good on the counter top but I feel it would look even better if placed on a sideboard in the dining room with other décor around it. It can hold up to 6 bottles and has a price tag of $60.67 which I think is well worth it. 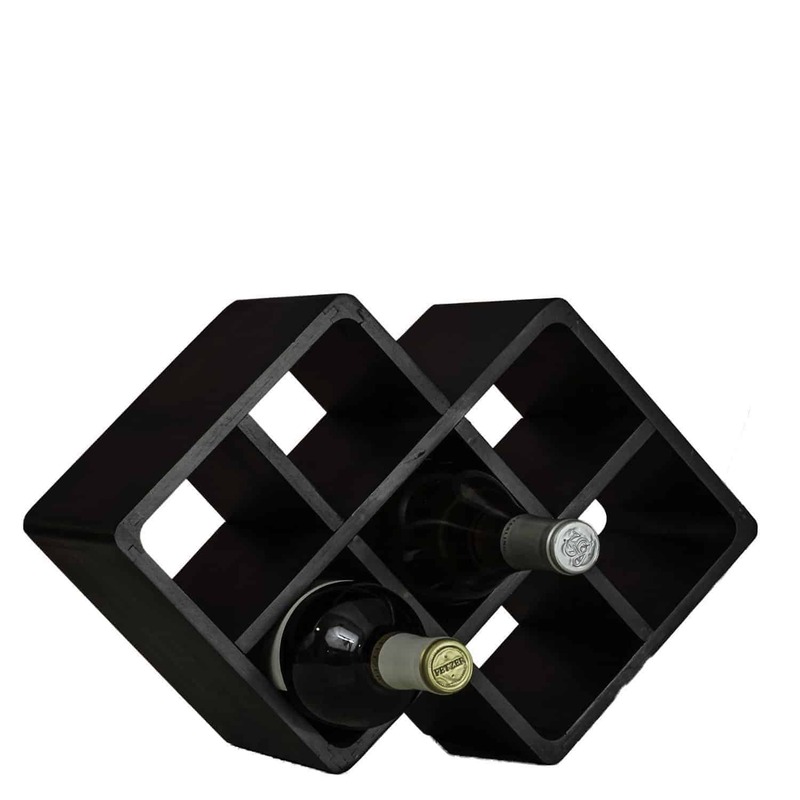 This very modern and elegant wine rack will look great on your counter top. It comes in both black and natural bamboo color and will pretty much fit in nicely with your décor. It is a very simple yet creative wine rack to give a great compact display. I just love this wine rack which is very cleverly designed and made. There is something so authentic about it and plus I love everything vintage so this is a real favorite of mine. 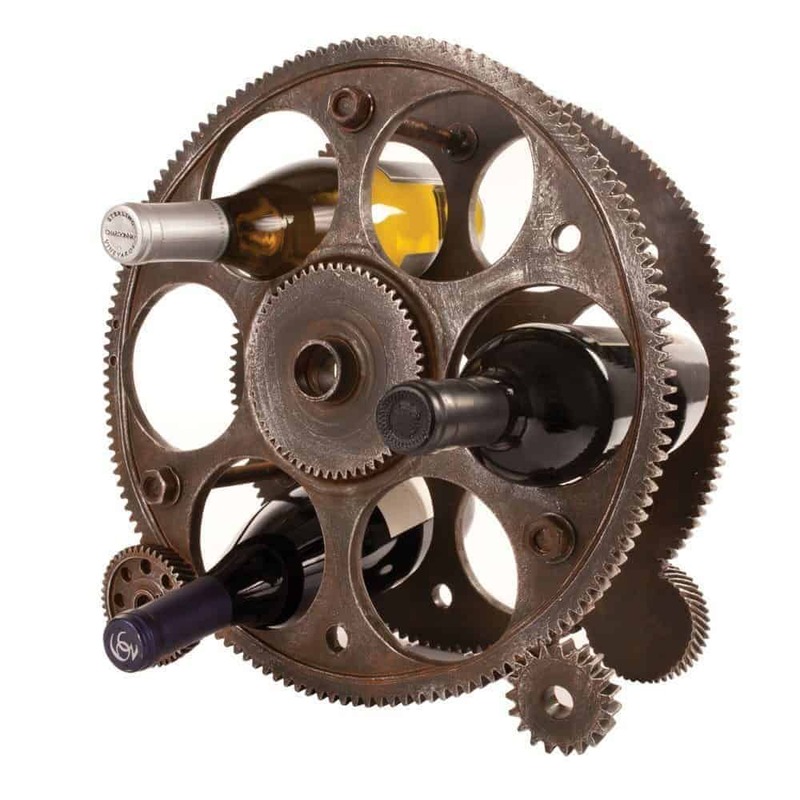 It’s not just a wine rack;it really is a decorative piece that will great in your home. While I’m on the subject of vintage this beautiful TWINE vintage style movie reel wine rack is a true delight. If you love movies and love having a wine while watching a movie then what better wine rack to have than this one. The Puzzled Solomon Wooden Circle Wine Rack is an absolute treasure of a find.It oozes elegance and is a great antique looking piece for the home and to display your beloved wine. It is quite a large piece standing at 21.3 inches tall so can be placed standing on the floor. I love how these Napa Style Double Stave Wine Racks look. It kind of reminds of a local restaurant that I love eating at because they have some of the best collection of wines. The curve in the middle of the rack is what makes these wine racks unique and elegant. Sometimes it’s the little things that make all the difference. If you’re looking for a unique wine rack then you can’t get any more unique than the Oenophilia Wall Gallery Wine Rack. 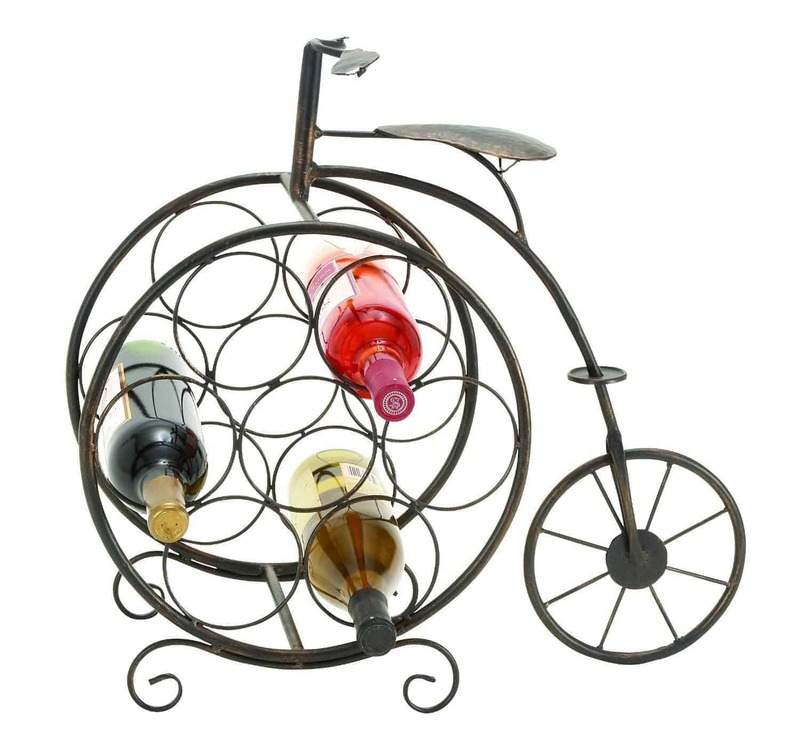 It is fun and it is definitely different to any other wine rack. It will make for a great piece of décor in your home and will be sure to be a talking point.